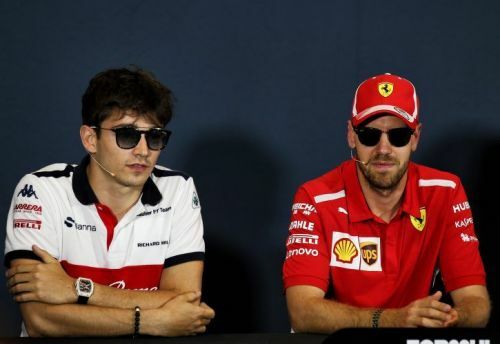 As the Formula 1 2019 season is building up, one of the most compelling reasons to follow F1 closely is the new pairing at Ferrari. Four-time Champion against a very young driver, Sebastian Vettel vs Charles Leclerc. It is not very often Ferrari picks up a young driver, as they usually choose proven, championship calibre drivers. The two drivers have had their share of applause from the fans in their debut seasons. Vettel has already shown the world that he is one of the finest drivers of all time and Leclerc is showing the potential to match him. One interesting trivia is that both drivers have started their career in a Sauber. 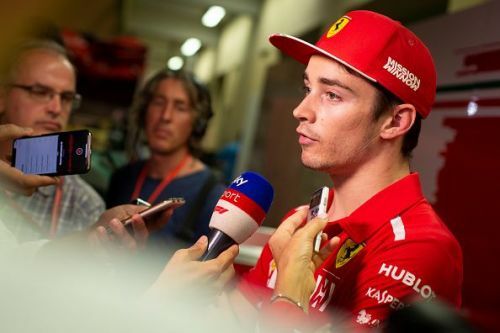 Can Leclerc catch Vettel's pace at Ferrari? Vettel had won only one title, which was the impressive 2004 German Formula BMW season, winning 18 out of 20 races before he ended up in the 2007 US GP for BMW Sauber. His F1 US GP was impressive for a debutant, being the youngest point scorer at that time. He drove for further seven races in 2007 with Scuderia Toro Rosso. His full season was in 2008 with Toro Rosso, later becoming (then) the youngest race winner in F1, at Monza. He moved to Red Bull in 2009, only to become the youngest World Champion in 2010. On the other hand, Charles Leclerc won the GP3 and the F2 titles on his way to F1. He came to limelight during his maiden F2 season, claiming the title in the most stylish way. He won many races, charging from the back, as in the Bahrain sprint race. Leclerc's overtakes were brave and for a rookie, he had found the sweet spot quite early in the season and didn’t seem like he dropped his form anywhere in between. His debut F1 race was in the Australian GP 2018 and after a slow start to the season, he secured many top 10 finishes, scoring the majority of Sauber’s points. Let us compare the debut seasons in 2008 (because Vettel participated in only 8 races in 2007) and 2018 of these two Ferrari drivers. 2008 had 18 races and, 2018 had 21. Both seasons had 20 cars on the grid, with the two teams, Toro Rosso and Sauber, fighting for lower points positions. The two cars have huge differences, therefore, lap times or points comparisons will not work, but the averages will. 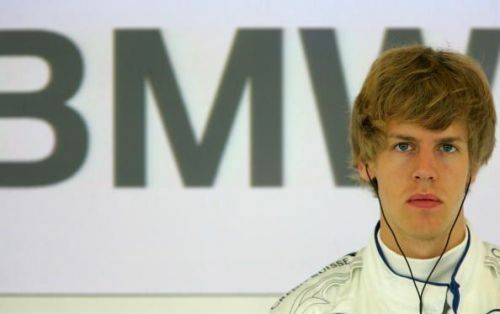 The German was paired up against a rookie in the form of Sebastien Bourdais in 2008 at Toro Rosso. Whereas, Leclerc had a much more experienced Marcus Ericsson to beat in the 2018 Sauber. Both have clearly and comfortably beat their respective teammates, both in terms of the race and qualifying positions. 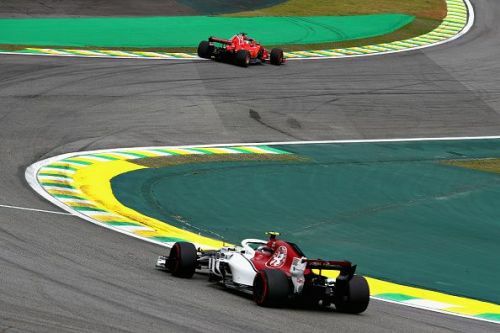 · The differences in the averages of race and qualifying results show that Leclerc and Ericsson have finished more closely in the races than in the Saturday afternoons. Whereas, Vettel and Bourdais have huge differences in both sessions throughout the year. · The difference Vettel has over Bourdais (5.48) in race results is significantly more than what Leclerc has over Ericsson (1.75). We know Leclerc has scored many points finishes but Ericsson has finished closer to Leclerc on many occasions. The new Ferrari driver’s 5 DNFs influenced this metric. If DNFs are excluded, Leclerc could come closer to Vettel's race trim. 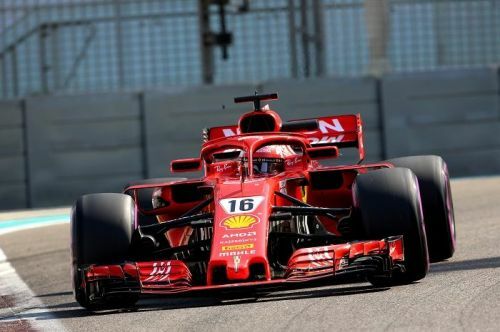 · The qualifying differences of both drivers over their teammates are pretty similar, Vettel finishing 2.85 ahead and Leclerc 3.24. Leclerc edges Vettel slightly in this regard. To know more about their Qualifying advantage over their teammates, the lap time intervals to their teammates (in all qualifyings) have been added up and the average interval has been arrived at. Vettel has an overall 0.348s advantage to Bourdais and Leclerc has 0.510s advantage to the Swede. 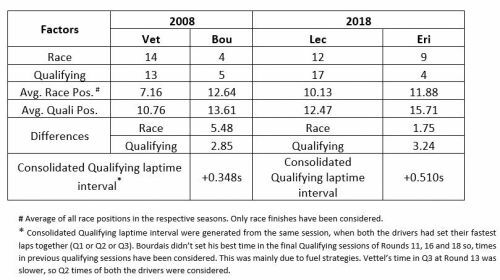 This difference is quite huge and proves that Leclerc’s qualifying dominance in 2018 has been more than Vettel’s 2008. The two drivers have had similar midfield cars to drive in their full debut seasons and have progressed to a top team. They have their own styles and their own pros and cons. They are immensely talented and one is a four-time champion already. The German’s form had a dip in 2018 whereas the Monegasque’s only way is up in the coming years. Vettel will be well recuperated and ready for another title hunt, while Leclerc undoubtedly is wanting to prove his talent in the top team. The numbers above show that they have well beaten their teammates in the past and F1 has another great inter-team battle on the cards. They will be closely matched. Ferrari will have a team leader in Vettel and Leclerc playing the supporting role. The performance gaps will surely be present with Vettel edging Leclerc, due to the 1-2, as we have seen with Vettel and Raikkonen. The German will beat Leclerc unless his form dips rock bottom. We will see Leclerc on the podiums often and garner victories, at times. Red Bull along with the Honda engines are expected to perform better. They will have another two young prospects. 2019 will be a season to look out for. Mercedes will be the team to catch once again and will battle with Ferrari and Red Bull for the ultimate prize. Where is Maurizio Arrivabene headed to next? Are the Sauber links true?